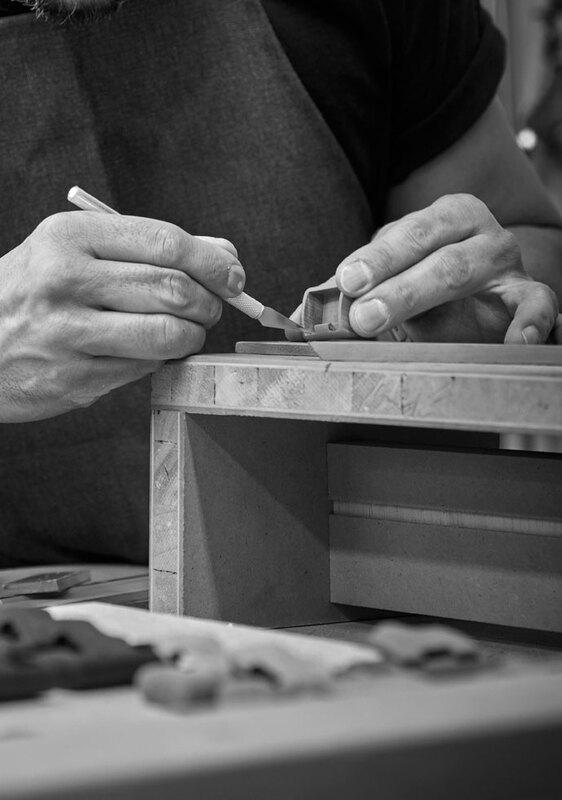 Bottega Ghianda is at the forefront of the tradition of fine‑woodworking known as ebanisteria. The workshop was founded in the Nineteenth century and has established itself over the course of generations as an Italian excellence in this most prestigious form of craftsmanship. 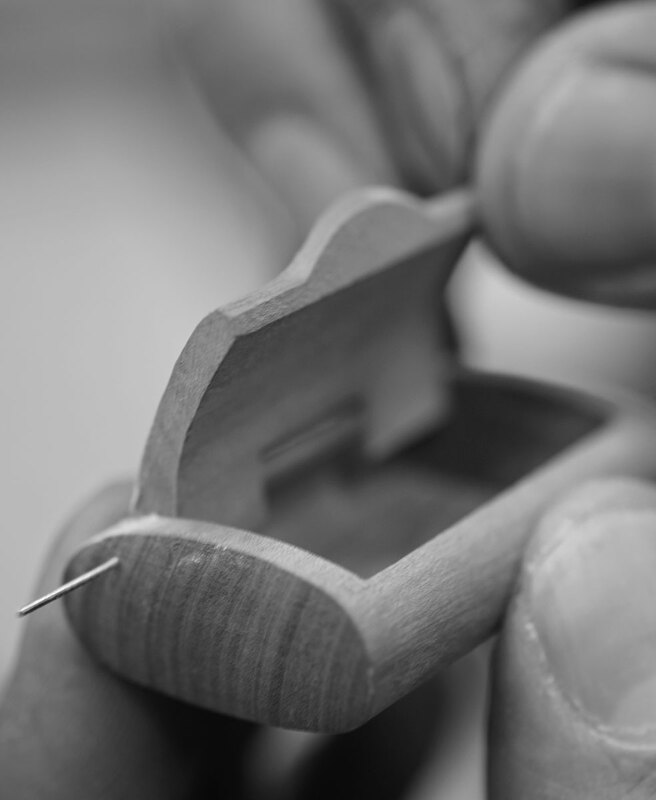 All of our pieces are authentically unique, because they are all strictly handmade. They represent the meeting point of a strong creative vision and the highly specialised skills that fine‑woodworking requires. We are proud to contribute, through our commitment and thanks to the accolades bestowed upon us, to keeping Italy at the vanguard of this art: the most noble expression of wood craftsmanship. The successful combination of a keen sense of beauty and unique artisanal finesse is an authentic Italian treasure. The harmonious union of ingenuity and technical know‑how, where thought and creativity are never separated from manual dexterity, rests on the resources of a territory that extends from the area north of Milan in the direction of Lecco: a reservoir of productive tradition that is envied all throughout the world. Here at Bottega Ghianda, this artisanal heritage, that has grown with fathers passing down experience and knowledge to their sons for countless generations, has reached its pinnacle. The ability to work all species of wood with a confident and loving hand, using joints that are complex yet subtle, is the distinctive trait of the ebanistas who have reached excellence in their daily work over years alongside Pierluigi Ghianda. Over the years, the workmanship of our pieces has driven a growing cult amongst connoisseurs and design luminaries. A longstanding admirer, Romeo Sozzi — himself a designer and passionate ebanista — with his sons Stefano, Davide and Paolo, bought the business from Pierluigi Ghianda shortly before his death. By directly taking the baton from the Maestro in 2015, Romeo Sozzi has allowed the artisans trained by Pierluigi Ghianda to continue their virtuoso work. That which Bottega Ghianda does today is the result of its enduring knowledge and sensitivity, in the most profound respect for tradition. 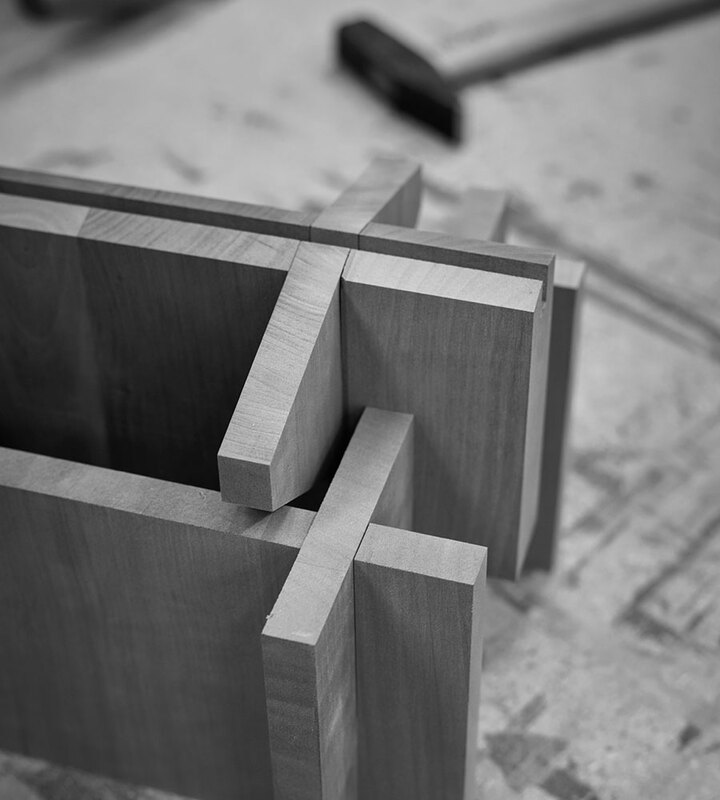 The workshop’s historic heritage will be complemented and steered towards the future by its new artistic director, Michele De Lucchi, whose work as an architect and designer is an expression of the most intense love for wood.